Writer/composer Bill Lorraine was born in Miami and raised in Charlotte, North Carolina. He holds a Bachelor of Arts degree from the University of Maryland. 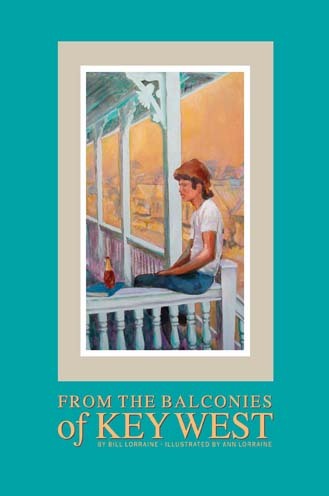 Lorraine has published one novel, The Heat; one book of poetry, From the Balconies of Key West (illustrated by his wife, Ann Lorraine); and one book of 14 short stories, Waiting for Something to Happen. Lorraine was editor and publisher of a quarterly art magazine, The Key West Arts Review. He was assistant managing editor for the Key West Citizen for 2 years. He worked as a freelance writer for many Keys newspapers and magazines, including his "Working Vacation" series for Solares Hill. 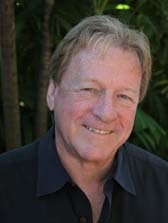 His music compositions have been performed by the Key West Symphony Orchestra and the Keys Chorale. He has produced 4 CDs of original music for piano, pop band, orchestra and choir. His oratorio, "Easter Green" was performed at the San Carlos Theater in Key West. His Orchestral Suite, "The Hemingway Suite," was performed and recorded by the Charlotte Civic Orchestra. He was solo piano player for Royal Caribbean Cruise Lines in Europe for 3 months each summer for 10 years. He has also performed in Paris, Munich, and Key West. Bill Lorraine is a year-round resident of Key West, where he has lived since 1975. Sculptor, musician, author, poet – Bill Lorraine is truly a Renaissance Man. His observations about life in Key West are indeed an ode to Paradise. "Words that dance on the pages," says literary critic Hollis George.